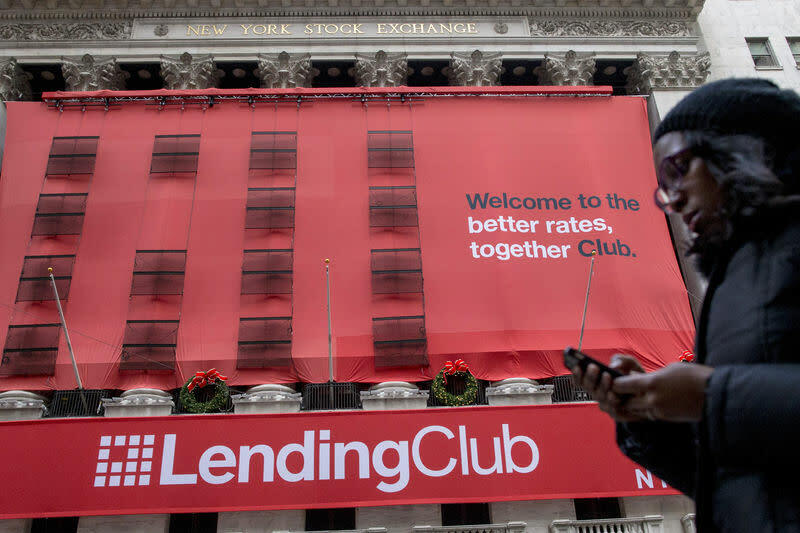 (Reuters) - Online lender LendingClub Corp forecast a bigger-than-expected first-quarter loss on Tuesday, and revenue that missed Wall Street estimates, sending its shares down 5 percent in after-market trading. For the first quarter, the company expects net revenue between $162 million and $172 million, below analysts' estimates of $181.2 million, according to IBES data from Refinitiv. LendingClub also forecast a first-quarter loss between $20 million and $15 million, compared to Wall Street estimates of a loss of $5.14 million. For the full-year 2019, LendingClub forecast a loss that was bigger than Wall Street estimates. However, the company said it was targeting profitability on an adjusted basis in the second half of the year. LendingClub CEO Scott Sanborn said in an interview that the lower-than-expected guidance was due in part to seasonal weakness in the first quarter and economic uncertainty both in the United States and overseas. "There is a lot of uncertainty both globally and domestically," Sanborn said. He added that the company would focus on achieving profitability in the second half of the year by cutting costs through initiatives such as outsourcing some business processes. The company plans to transition its loan servicing platform, to an off-the-shelf solution operated by a third party, Sanborn said. This would allow LendingClub to redeploy engineers to more "value-add" activities, Sanborn said. LendingClub is one of the largest companies that operates an online platform that connects consumers looking for loans with individuals or institutional investors such as banks. The San Francisco-based lender has been working to boost investor confidence since May 2016 when an internal investigation into loan malpractices led to the ouster of then-CEO and founder Renaud Laplanche. Like other online lenders, it has also faced concerns from investors who fear companies in the nascent sector may struggle to grow fast while keeping the quality of their loans in check. Excluding items, the company posted a smaller loss in the reported quarter on the back of higher loan originations which rose 18 percent to $2.87 billion. LendingClub's overall revenue rose 16 percent to $181.5 million.